Pen Tool Tutorial Recommended For Beginner Level Photoshop Users. In this Photoshop tutorial we will explore how to use the pen tool. First, we will look at the pen tool’s basic controls. We will examine creating paths, curvature modification and anchor point adjustments. Next, on the following page, we will use our new pen tool skills to cut out an image. This skill is so essential to know when using Adobe Photoshop, and it really illustrates the power behind the pen tool. Finally we will see how a path created with the pen tool can be used to create custom shapes. Custom shapes are vectors so they will never pixelate or lose quality. Again this is such a handy skill, you’ll end up using it all the time! Photoshop’s pen tool you have three options: Create a new work path, Create a new shape layer, and Fill Pixels. We will use the Create a new work path option as this the most commonly used. You can find these options in the top left hand corner of the Photoshop window. See the image below. Just like selection tools, the pen tool has several different options for the resulting path. The most commonly used is “add to path area”. 1. 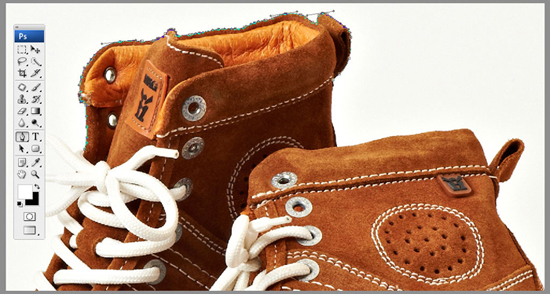 At first open the image you want to use for your clipping path in photoshop. 2. 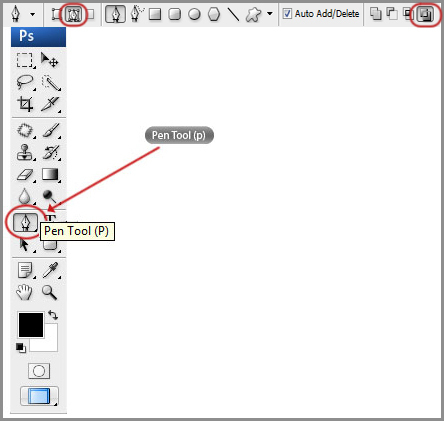 From the photoshop tool box, select the “Pen Tool” (shortcut key: “P”) or cmd + P (Mac). 3. Then now you can start Clipping Path outline the object. After a certain distance, On the edge and this time hold click again and drag your mouse pointer. Continue doing the same process until you end up at the point where you started your path. Once you have to close path adding this point in the last click, you are done with the outline path only. 4. Then you need to draw path for each of the missing within the image. Continue drawing paths for all gaps. You have to be done drawing paths for your image to remove the background. 5. 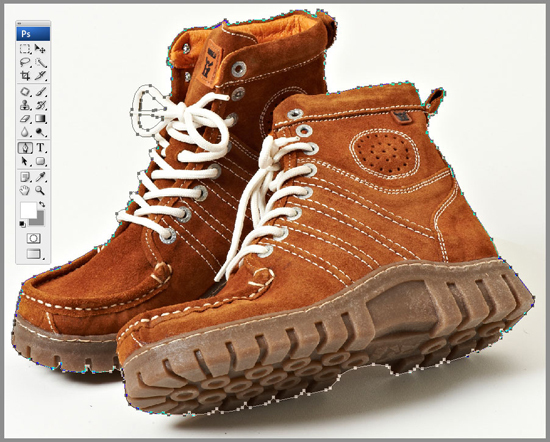 Now you are done drawing paths all around the portion of the image, then you need to apply clipping path get the background removed. Go to the path palette, situated under “window” menu called “Path”. Then just double click on the “work path” then Ok button. 6. 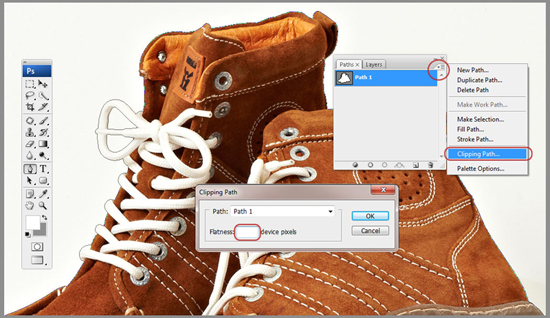 Then click on the pop up menu in photoshop path palette, and now choose “clipping path”. 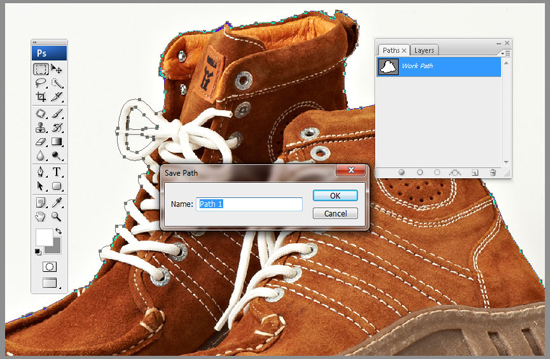 Now clipping path window is open, then you can just click “OK”. You can amount of softness in the flat area. 7. Finally you have completed path just now you can remove the background, bring the “Path” and “layer” palette from “window”. 8. Then select the background layer then press and hold the (Ctrl+J) your keyboard. The main object remains by itself with a new layer in a transparent background. I hope this helps all of the aspiring Photoshoppers out there to begin delving a little deeper into the powers of the Photoshop.